Former Ministry of Defence UFO investigator Nick Pope lifts the lid on a UFO incident that he and colleagues in the MoD regarded as being more significant and compelling than the Roswell incident. The UFO encounters in Rendlesham Forest involved dozens of military personnel based at the twin United States Air Force bases of Bentwaters and Woodbridge. Previously, only fragments of the story have emerged. Now, Nick Pope has teamed up with the two military officers at the heart of this incident, John Burroughs and Jim Penniston, who for the first time reveal what really happened. Nick Pope uses his unique access to the military witnesses and his inside knowledge of MoD’s UFO project, coupled with never before seen UK and US government documents on the incident, to produce a book that will fundamentally change people’s perceptions about the UFO mystery. "his questions and detailed evidence certainly give readers on both sides of the UFO debate plenty to chew on. " "Full of paranoia about the government - not all of it, or even most of it, unwarranted." "This is probably the most well-documented UFO incident ever. Author Nick Pope had full cooperation from two of the main eye-witnesses and also gathered a lot of previously unseen material through the Freedom of Information Act. This is a well-researched, well-written, fascinating explication of the events." "...a well-researched, well-written, fascinating explication of the events." "This work is a vitally important addition to the growing acceptance of UFO visitations to earth." "Something very, very strange happened in that forest, and this powerful book shines a clear light into that mystery." "[At first I thought] there is nothing new to learn in this book. Boy, was I ever wrong! There was much more to be learned and it is pretty amazing. The book held my attention from the beginning to end. Nick Pope along with John Burroughs and Jim Penniston did an excellent job of presenting this story. Thank you Thistle Publishing, I thoroughly enjoyed this book. " 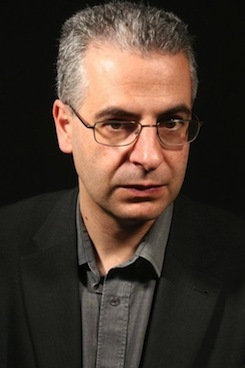 Nick Pope has been busy in the media, writing about his real-life experiences to coincide with the relaunch of The X-Files. 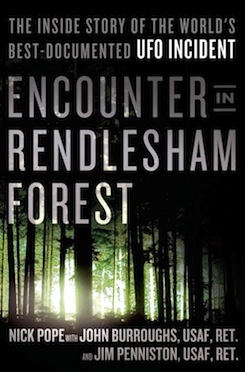 Nick Pope was interviewed as part of BBC radio’s UFO Special this week, discussing his book Encounter in Rendlesham Forest, recently published by Thistle Books. There’s a fantastic feature in the current issue of Loaded magazine on Nick Pope. Nick Pope has written a sensational piece for The Sun’s UFO Week.